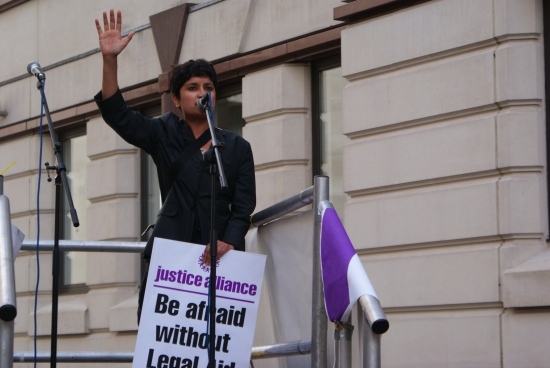 Here’s Shami Chakrabarti’s speech at yesterday’s “Rally for Legal Aid” outside the Old Bailey. Hers was the best speech of the day, I thought, telling her listeners about a country “not so very far from this one” where if you needed medical or legal help “nobody would once have looked for your handbag or wallet”. Interestingly, she made clear she thought the issue of legal aid cuts is not just about the current government. She said the Labour opposition also needs to be held to account on this, and we need to know what they’ll do if they come to power.